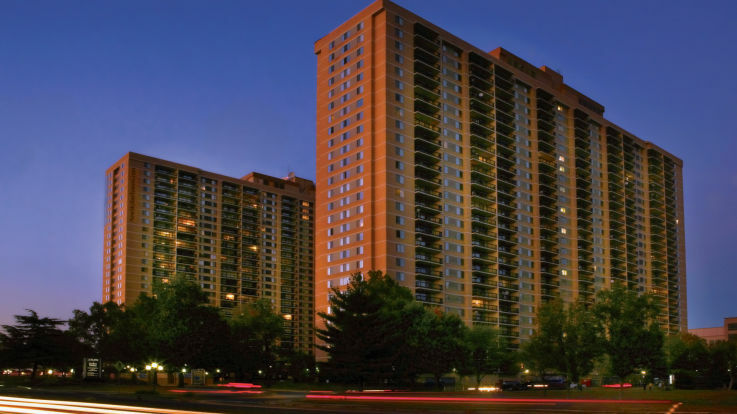 Check out our Baileys Crossroads apartment buildings that have a swimming pool. Just 10 miles away from DC, Bailey’s Crossroads is the small town community that you’ve been looking for. With a population of around 20,000, it’s not difficult to develop real relationships with your neighbors, and get out of the hustle and bustle of the city. We’re happy to offer an Olympic sized pool for our incredible baileys crossroads apartments, as well as some other choice conveniences like in-home washer and dryers, billboard and Foosball tables, and an internet e-lounge. These are just a few of our amazing amenities that we offer. Equity is ready to help you move into the apartment that you’ve been searching for. If you’re looking for a world-class apartment tailored to fit you, look no further.